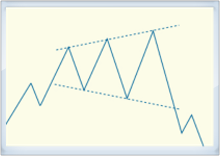 Broadening Formation is a chart pattern consisting of 2 trendlines. 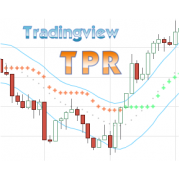 The resistance line is formed by 2 or more ascending peaks. The support line is formed by 2 or more descending troughs. It can be considered as the boundry of incoming HIGHs and LOWs until a breakout occurs.